Callistachys purpurea Van Houtte ex Heynh. Oxylobium ellipticum var. 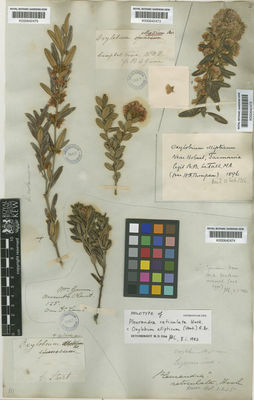 angustifolium Benth.